I love bread. Sourdough, rye, Turkish, flatbread, brioche, French sticks, naan, roti, wholemeal, soft white rolls, Italian focaccia and am not ashamed to admit to a couple of slices of white Tip Top bread with butter and vegemite. And part of travel is eating lots of bread . . . (sorry to the gluten intolerants). Naan to mop up curry sauce and dhal for breakfast in India and beautiful European breads with cheese washed down with coffee. Years ago when I first travelled to Austria I was naive and hadn’t been exposed to sliced heavy bread in the morning. My first taste (not toast) was accompanied by a cream cheese and a fat slice of ham. And that’s when romancing the loaf began. No matter where I am, I’ll try the bread on offer. 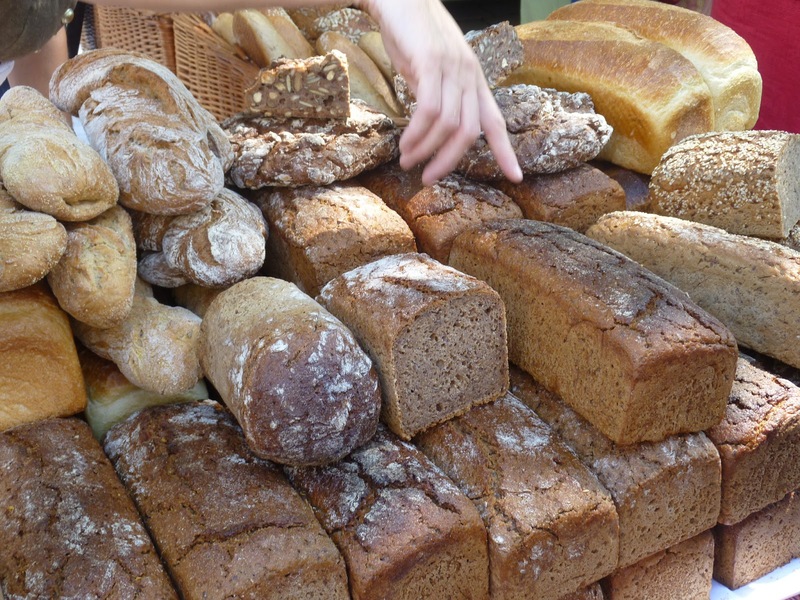 Europe sets the standard for good, wholesome, hearty breads. 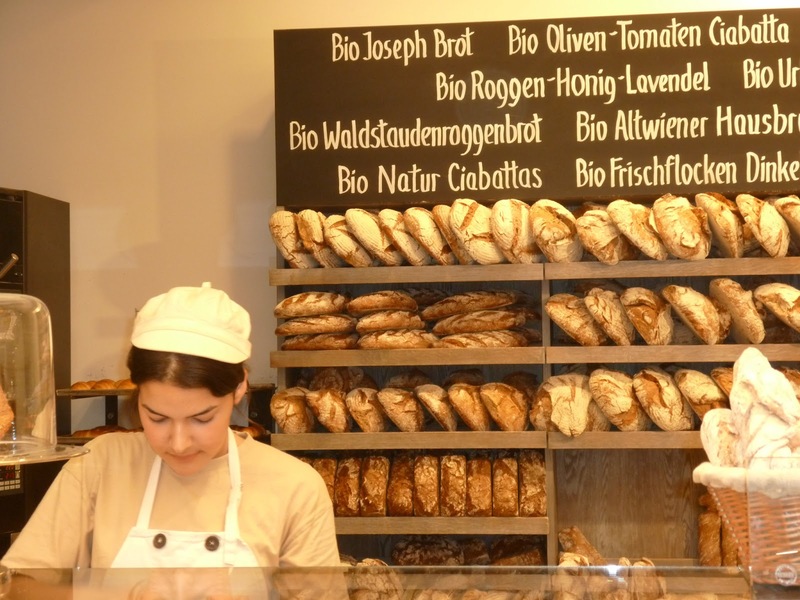 And Vienna is upping the ‘brot’ ante for the comeback of artisan bread. For too long Vienna has loafed around with heavy, commercially manufactured bread and now it looks for a slice of the crusty good life. 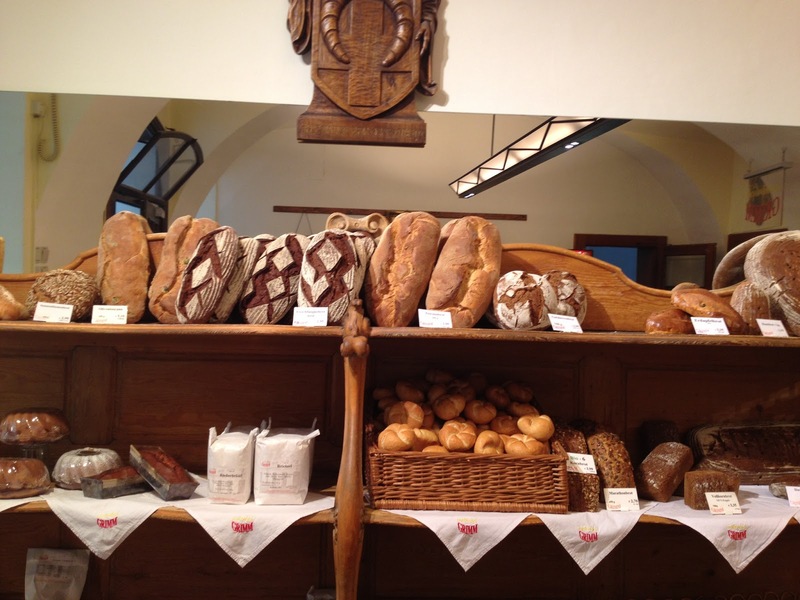 The renaissance of small bakeries in Vienna is full on – here are a couple of snaps taken around the back streets where the aroma of freshly baked bread drew me into the bakery for a bun or two. I was taken around the city bakeries by ‘Brot Andi’, Andreas Djordjevic, an institution in Vienna. Andreas is in charge of the bread cart in the two Michelin-starred Steirereck, the best restaurant in Vienna. The restaurant is divine with the most beautiful ceiling, amazing food styling – and flavour of course – and then there’s the brot . . . . 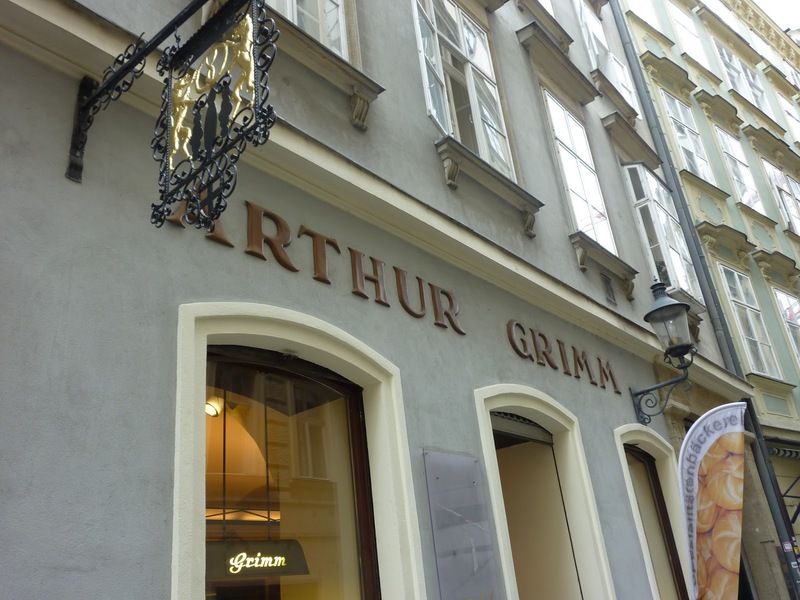 I rather fancied the name of Arthur Grimm’s bakery – no relation of you-know-who. 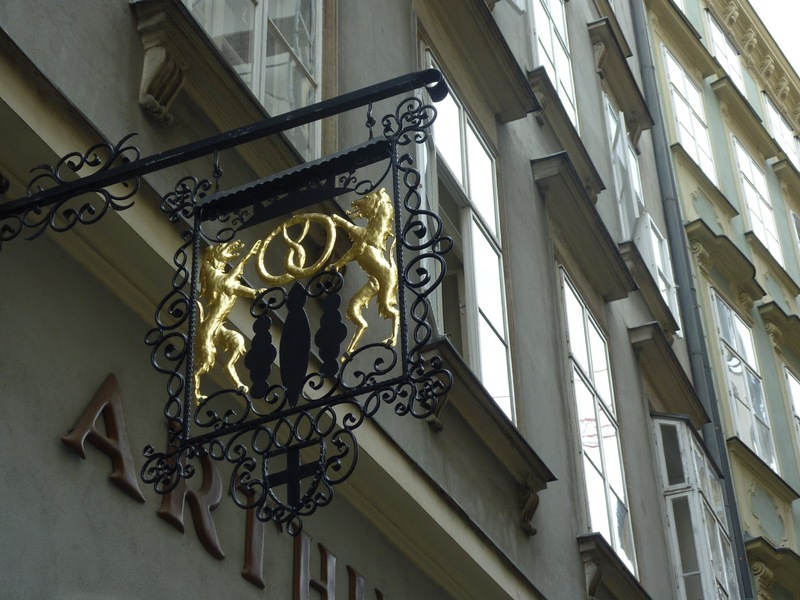 This was a scattering of breadcrumbs to entice you to walk the streets of Vienna in the early morning, and . . . just follow your nose. Writer, Bev Malzard once joined with a work colleague to experiment with ‘the sandwich as a meal’ concept. Over a week of 21 meals they managed to put every meal on a sandwich. Eggs on toasts for brekkie, a salad and ham sando for lunch, steak and chips between two slices of bread for dinner. Great strides in gastronomic adventure were made when there was a pie and sauce sandwich, a fish and chips sandwich, a pea soup sandwich (this had to be made and eaten rather quickly), a baked dinner sandwich, with gravy and beef and black beans and fried rice sandwich and the surprise meal . . . an apple pie sandwich. That was an excellent week. The divine image at the top of the page was taken by the gifted Monika Grabkowska.